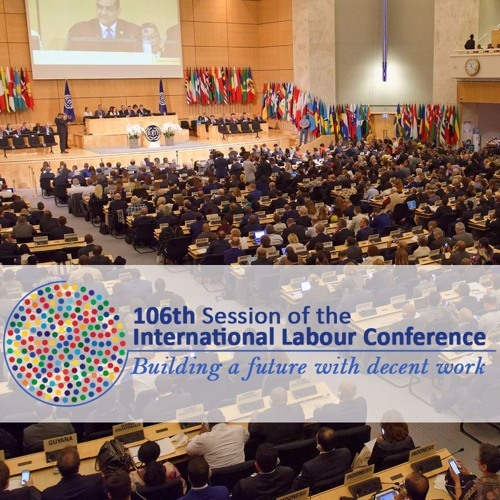 106th International Labour Conference by International Labour Org. Un futuro mejor pasa por el camino del diálogo social dice el Presidente de Uruguay by International Labour Org. “Decent jobs of the future will not be green by definition but by design”, says Ryder by International Labour Org. Towards better investment in core labour standards by International Labour Org. Pour un meilleur investissement dans les normes fondamentales du travail by International Labour Org. Delegación argentina da a conocer preparativos de Conferencia sobre Trabajo Infantil by International Labour Org.